I’m not one for fads, but one fad that I do like is the switch from plastic bags to reusable bags (which I’m hoping wouldn’t just be a fad). Before, there was just Envirosax. Then retail stores followed, offering their own branded reusable bags in lieu of plastic, often for a fee. These bags are cute, but sometimes come with a price tag that raises the eyebrows. 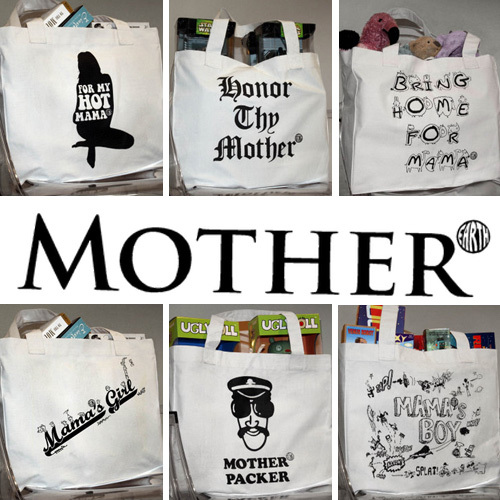 Mother Earth Bags is an advocacy project of four friends Nena, Joey, Kat & Angela, who believes in saving the planet one bag at a time. It may be hard to make a dent on the trillion plastic bags used every year, but saving hundreds a year per person is still something, right? Besides, how can you resist these cute bags? The bags come in printed canvas (Php 95) and flour sacks, both plain (Php 35) and embellished (Php 65). Now on to the good part! I just got my Mother Earth Bags, and I’m absolutely impressed. The craftsmanship on each is superb! The bags are made at The Livelihood Shop, a program that employs underprivileged women of Taguig. Not only are you helping the environment when you use the bags, you’re also providing these women with livelihood when you buy. I’m bringing this to my mama. My mother loves the Village People, Gunther and Hard Gay. Ako rin, I’m a mama’s boy! I mean girl pala. Harhar. Can’t I be a Mother Packer? :c anyway, definitely I’m a mama’s boy :P hee. oi tumigil kayo sa pag aambisyon! ako mananalo ng MAMA’S BOY! “I honor my mother!” best describes me. Now that I’m also a mother, I honor Mama more than ever! It’s no joke being a mom. And I remember that way before people were environment conscious, Mama was already refusing plastic bags when she would go to the wet market. Instead, she would bring a big native basket and would ask the vendor to put the tomatoes and other stuff in there. Ang galing naman, it’s here too! Thanks again so so much! Have fun with the contest! wow, may pa contest pala dito. If i get this, I’m bringing this to my mama for sure. #5 I’m bringing this to my mama! — the bag is cute and i already seen it personally! 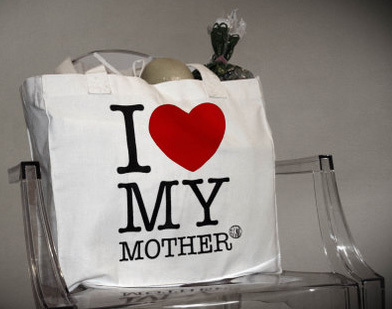 I wanna give one to my mom coz she loves going to the supermarkets and this one surely fits! I’m bringing this to my mama. Mama, being the motherload, shopping bag stash (Yes, I have a utilized collection) for stashing more shopping loads! I’m bringing this to my mama! oooh! i love this bag! #3- I’m one hot mama. Indeed, I am! I’m proud to be a mama’s girl! wow! my mom is going to love this! makes her feel a little old daw. hehehe. maybe #3 will do it for her. I definitely am “a mama’s girl (#1)”! I love her with my my heart coz’ she makes me feel important. She takes time to cuddle me, help me feel safe and comfortable at night; greets me with a hug and kisss every morning.